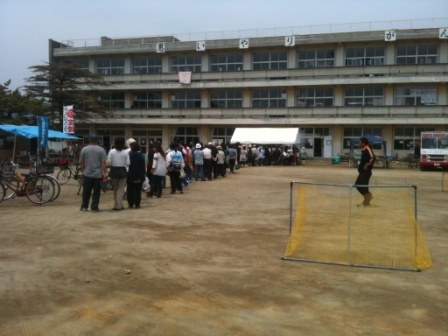 Introduced by JEN, one of our partner organizations, HOPE FOR JAPAN prepared meals outdoors for the evacuees at Watanoha Elementary School in Ishinomaki City, Miyagi Prefecture on May 20, 2011. 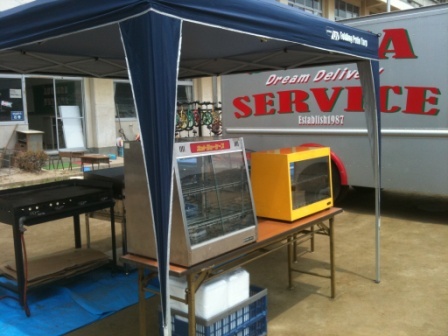 In cooperation with catering company and volunteers, we prepared meals outdoors for 400 displaced persons who stayed at the gum of the school. 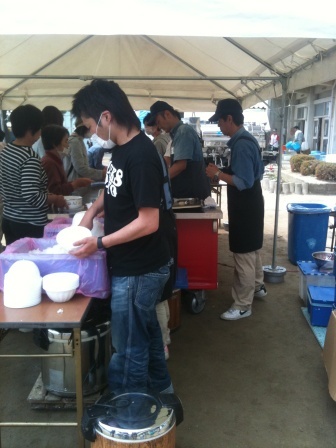 After the announcement of the soup-run at 11:00, we distributed frankfurters and the beef bowls and the salads. It was finished shortly too, we apologized to those whowere already lined up. According to volunteers, the amount of the soup-run they need would change depending on the day of the week. Some people who already come back to their home would need meals outdoors because of the fragile lifeline. On the other hand, evacuees would bring food back for their family who works during the day. This time mudef staffs rented a car from Sendai station to Ishinomaki for the soup-run. 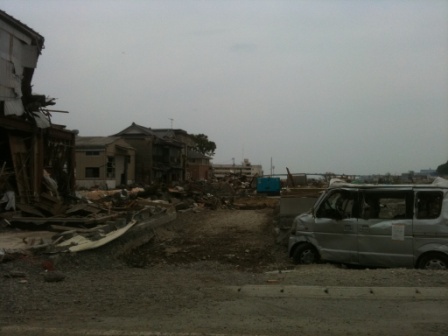 On the way to Ishinomaki, we saw misery of the destructed areas. We realize how big the extent of the damage of the earthquake and tsunami, and the long journey to recovery. HOPE FOR JAPAN will continue helping afflicted people.